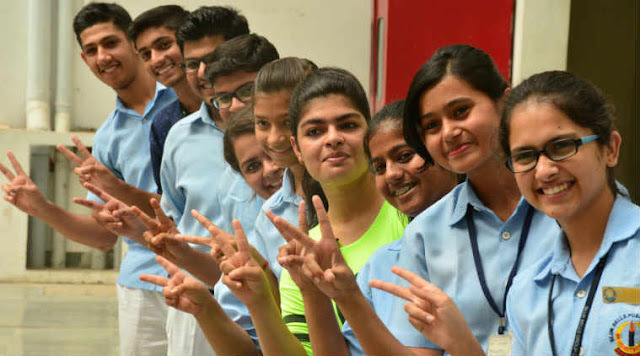 In order to fill an application form students have to fulfill the eligibility criteria for the same the norms for 10th and 12th are different we have stated the complete conditions for the CBSE 10th 12th Class board compartment examination, candidates can check it by scroll down this page. Both private and regular students are eligible to appear for the compartment examination. The board will charge a fee for filling the form the fee for 10th 12th private and regular students are different you can check it from below. Students can appear in CBSE Compartment Exam as private students or LOC (List of Candidates). To appear in the compartment exam, a student must be attentive of all the CBSE Compartment Rules as set by CBSE. We have stated the complete procedure to fill the CBSE Compartment Form 2019, you are advised to have a look on provided steps and fill the form accordingly. Students who do not able to pass one of their five subjects are eligible to apply for the 12th Compartment examination. Students having 6 subjects and fail in 2 subjects out of 6 are also eligible. Students will only be allowed to give Compartment examination only 3 times. Students who have appeared in Class 10th exam and are placed in EIOP (Eligible for Improvement of Performance) category are eligible for the exam. Students can give Compartment examination only 3 times while Students who are placed in EIOP category will be given only one chance to appear in the exam if, any student fails to clear the exam and gets NIOP (Not Eligible for Improvement of Performance) in their CBSE Compartment Result 2018, then he/she cannot appear in the second chance. Application Form Process for regular and private candidates is different. Regular candidates need to apply directly to their schools. Candidates have to visit in their respective schools. Obtain an application form there and fill it in the prescribe format. Pay the compartment examination fee to school and submit your form with required documents. Private candidates have to fill Form Online from the official website. Search for “Online Submission of LOC for Compartment/IOP Exam” or “Online Application for Private Candidate for Comptt/IOP Examination”. Select a suitable link as per your class i.e. 12th or 10th Class. Enter Roll Number, School Code, Centre Number and click on “Proceed” Button. Now a form will be displayed on the screen. Fill the form carefully and submit. If your details are incorrect, your form may get rejected. Upload the scanned copy of your photo and signature. Go to the fee payment option. At the end take a printout of the confirmation page. Send your documents to the address of regional office within 7 days along with essential documents.